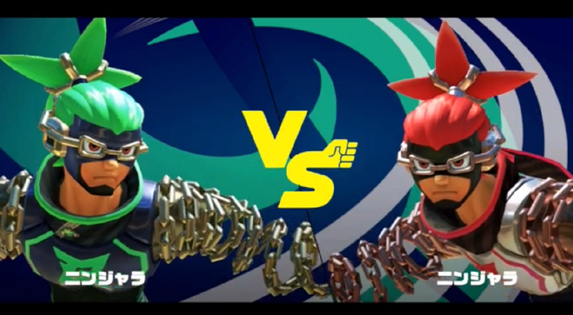 The popular Japanese website NicoNico was host to one of the first pre-release ARMS tournaments, during which those competing played as the different revealed characters in order to win various ARMS themed rewards. 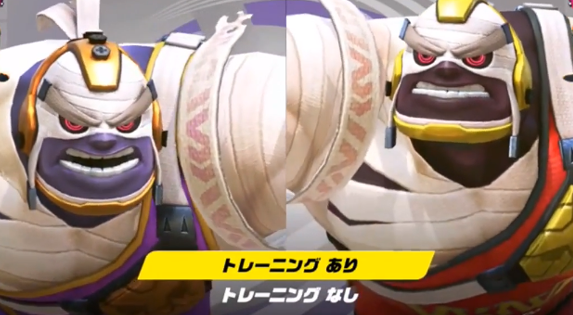 During the fights those competing were able to show off a variety of small features, including more alternate colors for characters. 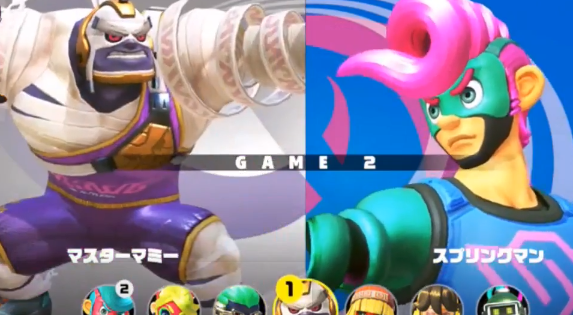 There appears to be four total color options, which coincides with the 2v2 matches allowing all players to be the same character. 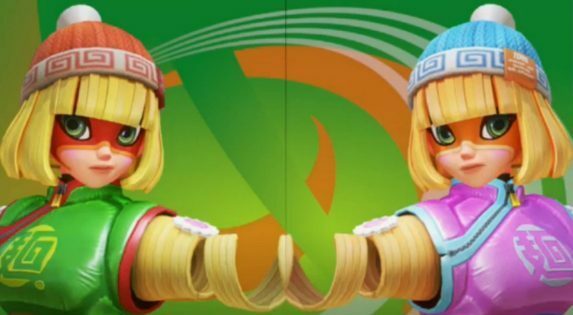 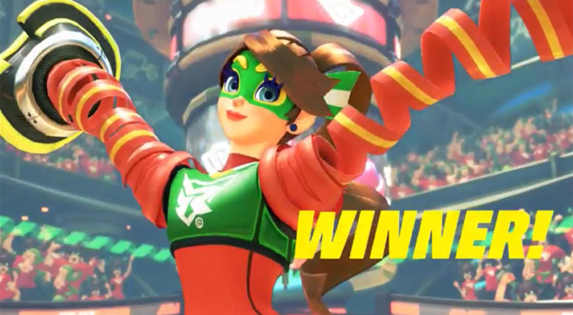 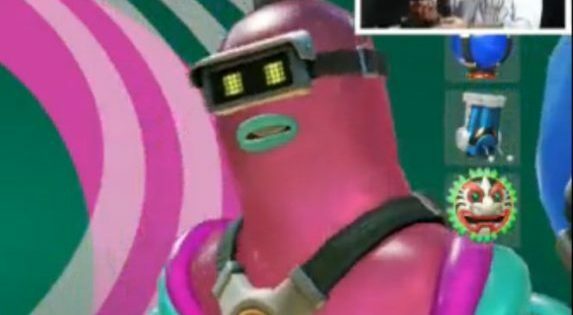 Some of the new colors revealed include a red Ninjara, brown-haired Ribbon Girl, red Master Mummy and a pink Spring Man among others. 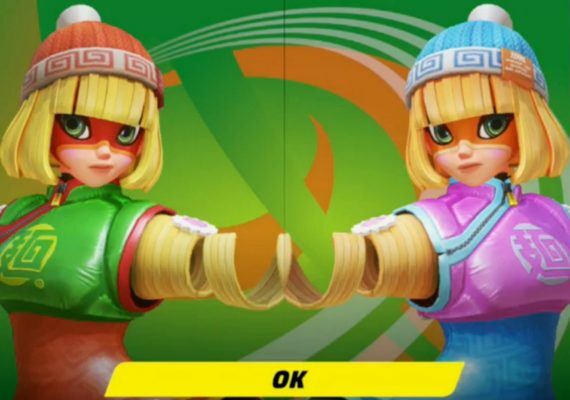 It also appears that players are able to choose their color choice before a match so each player can go in as their favorite, assuming they’re not clashing with their opponent. 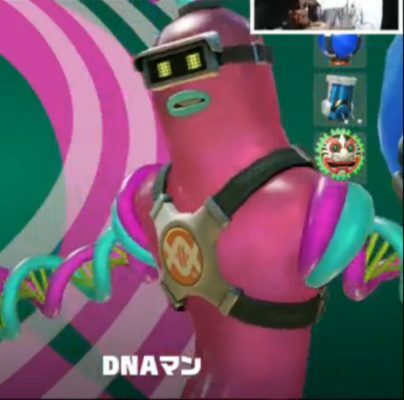 We have included some screenshots below as well as a footage from the event thanks to YouTube user ThemeofJudea. 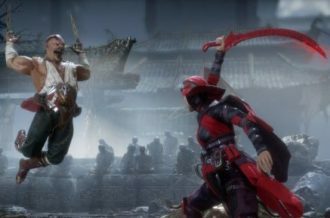 These reveals occurred during day one of the tournament so be sure to check back here for more updates!